The party-goers at your next gathering will be relieved to see a professional chef arrive at the party. 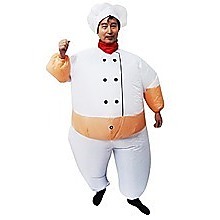 Save the day and crash the party with our Inflatable Fan-Operated Chef Costume. You"ll be comfortable in this costume made of feather-light material. You"ll be cooking up a lot of fun with this charming and comical costume. Note of caution: Keep this chef away from the chips and dip. This durable, one-size-fits-all costume is constructed of an extremely light polyester material called terylene. It is a super material that keeps you cool and free of perspiration. 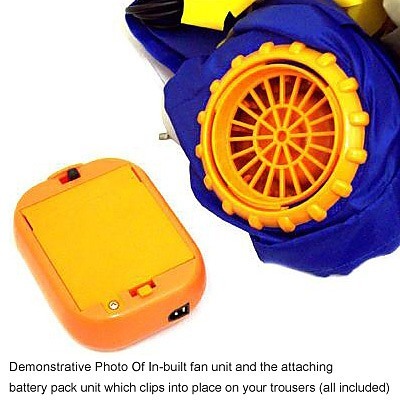 Included with the costume is a compact fan unit that keeps the costume inflated and never lets it droop. The battery pack clips onto your pants or belt under the costume. The batteries will keep you "inflated" for at least several hours. 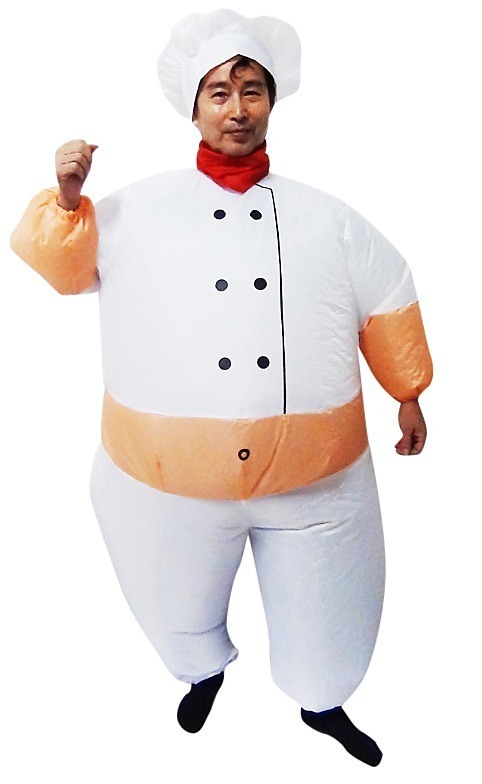 Add fun and excitement to your next party by arriving in our inflatable Chef costume. You will be the center of attention and you won"t even have to bring a casserole. A good time will be had by all!